Yesterday we signed the lease for a little cottage-style house in Melbourne’s Brunswick, and my mind has immediately gone mad, thinking about what I can do with the courtyard garden. So many plans. The friends my housemate and I are staying with have chooks, and they’re so lovely that I’d dearly love to take them with me (plus, think of the eggs!). They’re so inquisitive. I crouched down in the grass to take this photo, and they all came over immediately, thinking I had food, and then eyed me curiously when they realised that I didn’t. 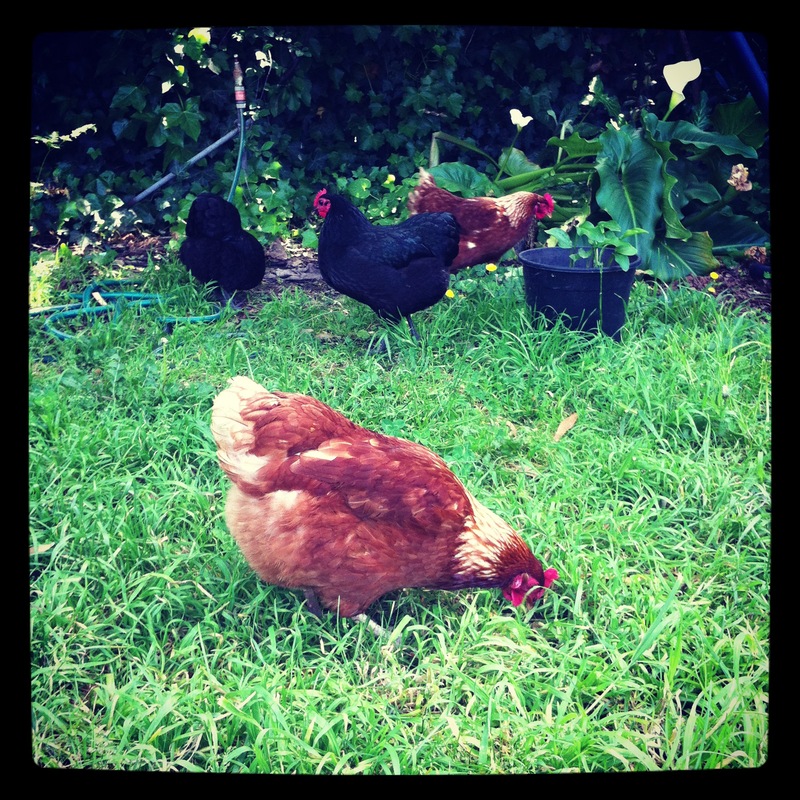 Unfortunately, my courtyard garden will not accommodate chooks — there’s no grass for them, it’d be cruel. So I’m adding chooks to my list of things to have when I’m a Proper Grown Up and live on a bit of land somewhere.